Sunamerica is a life insurance company who is also a subsidiary of AIG Retirement Services. Sunamerica offers retirement services for those 45 and older. It is one of the top issuers of variable annuities. One of the focuses of Sunamerica is to guarantee customers income for life and protection of their assets from a continually volatile market. Sunamerica does not offer health insurance, but to find your best individual quote you can type in your zip code and compare different health insurance quotes. The company can also administer closed blocks of fixed annuities, guaranteed investment contracts, and universal life policies. Sunamerica has been in business since 1890. When it first started out Sunamerica was called Sun Life of America. In 1971, Sun Life was bought out by Broad Inc., now known as AIG Retirement Services. In 1983, Sun Life changed its focal point from insurance to retirement services. Anchor National Life Insurance was acquired by Sun Life in 1986 and after this, the name changed to AIG Sunamerica. For eight years, starting in 1990, Sunlife was the best performing stock in the New York Stock Exchange and afterwards they merged with AIG in 1998. Sunamerica now provides 500,000 people with services and financial products that seek to create economically secure retirement. 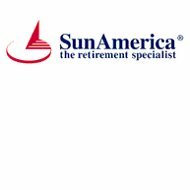 Sunamerica focuses on meeting the retirement needs of their customers. Variable annuity, optional benefits, and 401k are the products they offer. Sunamerica’s variable annuity products offer legacy options, long-term growth potential and flexible income options. These can act as a safeguard against a volatile market and can provide a potentially rising stream of income. Retirement income protection – this helps to ensure future income protection against a volatile market. Beneficiary protection – to help safeguard the amount of money your family and heirs receive is protected against investment losses in a volatile market. Sunamerica has four different ratings for both of their companies. According to Standard & Poor’s, Sunamerica has an A+ rating, which is considered “Strong” and financially secure. Moody’s Investors Service gave Sunamerica an A2 rating. This is a “Good” rating. A.M Best Company gave Sunamerica an A or “Excellent” rating which means they believe Sunamerica is in excellent shape to meet ongoing insurance needs and obligations. Finally, Fitch Ratings gave Sunamerica an A or “Strong” rating as well. To take a closer look at these health insurance rates enter your zip code. You can compare the rates of Coventry Corp. Group and other health insurance companies as well.